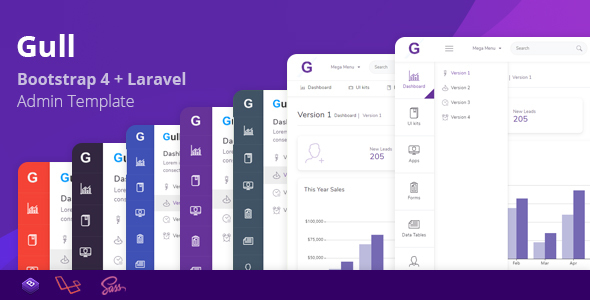 Gull is a modern Bootstrap 4 admin template and UI framework with full Laravel version. 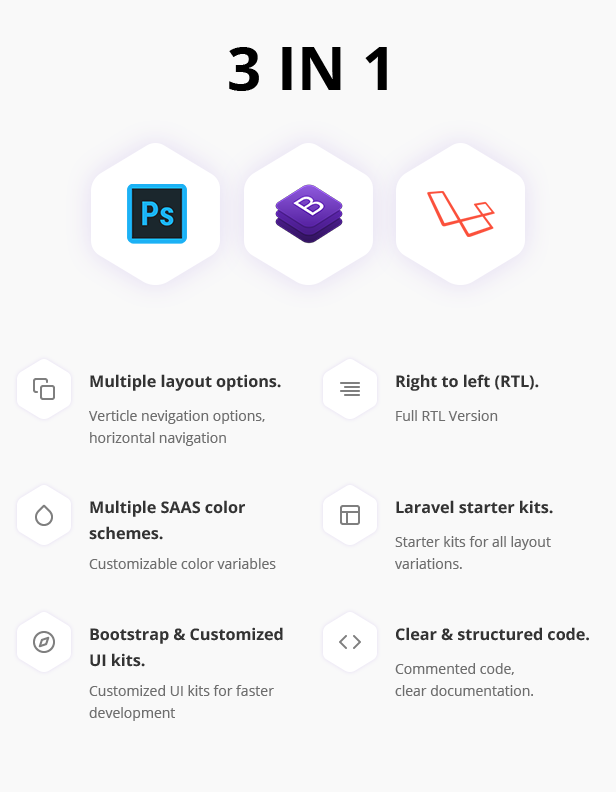 It is fully responsive built using SASS, HTML5, CSS3 and jQuery plugins and packed with smart developer tools such as Gulp, Babel and Browsersync. It can be used for building all kind of Cross-platform Application and Web application backends like custom admin panel, admin dashboard, accounting software, project management, chat application, eCommerce backends, CMS, CRM, ERP or SAAS. Gull provides you all the UI to input and visualize/output large and small datasets. Full SASS support: Gull implements bootstrap 4 sass. Styles and custom schemes are written in sass. Prebuilt apps: Gull has pre made apps(Invoice Builder, Chat, Inbox). Customizable SASS color schemes: Customize or create your own color scheme by changing the sass color variable’s value or creating new color scheme file. Data Table: Data table displays a set of data in clean table format with front-end paging options. User can search and sort data. Form Layouts and elements: Horizontal & verticle form layouts with all necessary form inputs and elements. eCharts: Gull uses echarts for data visualization. All necessary and common echart options/configurations are written in defferent file.